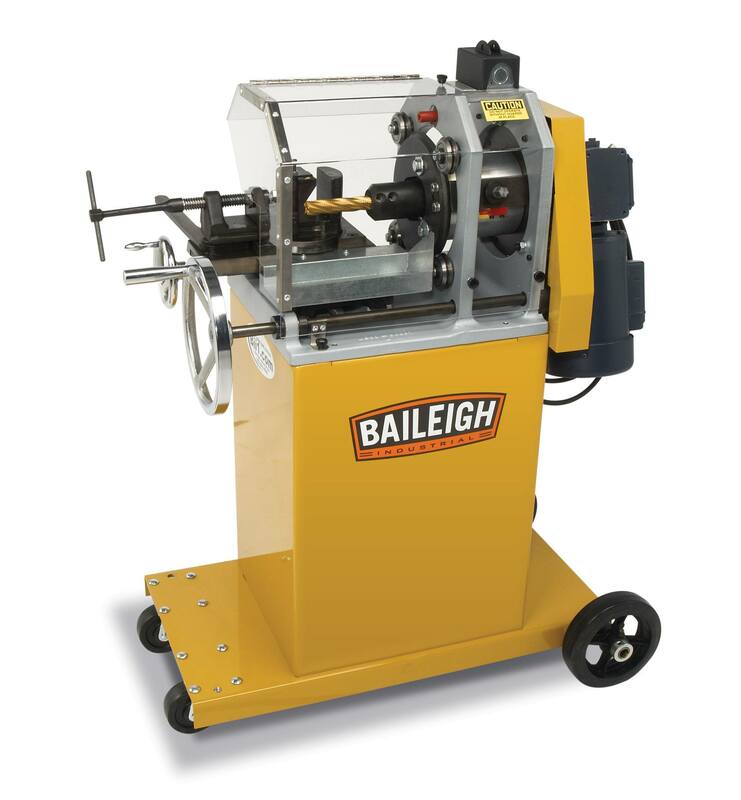 Increase your auto shop’s revenue with JMC Equipment’sBaileigh tube and pipe notchers. Our top-of-line equipment will help you create the perfect notch in seconds. The tools are ideal for tube and pipe construction, as well as gate and fence, roll cage, an\d stainless plumbing work. Pipe notchers are useful, especially for businesses that require repetitive operations and have quick turnaround times. With our machines, auto service shops can create notches quickly and precisely. Sheet metal notchers make the welding process easy. Auto repair shop workers, for example,use them to cut the end of a tube to make it fit snugly with another shape for welding. As a result, they are s preferred tool for the creation of affordable automotive parts. Manual pipe notchers – These are popular in handrail notching and manufacturing applications. Our manual pipe notchers feature solid steel enclosures and powerful lever action. Hole saw tube notcher – The ideal tool for making round cuts in pipes and tubes. Our customers use them for roll cages, chassis, motorbike frames, and more. Electric tube notchers – Manufacturers use this equipment to create precise notches within seconds. Abrasive notcher – A heavy-duty notcher that simplifies the grinding process and can handle thin-wall tubing work. End mill notcher – Achieve extreme angles with this durable and robust equipment. It is ideal for structural work and off-road chassis. Contact us today for more about our Baileigh products.